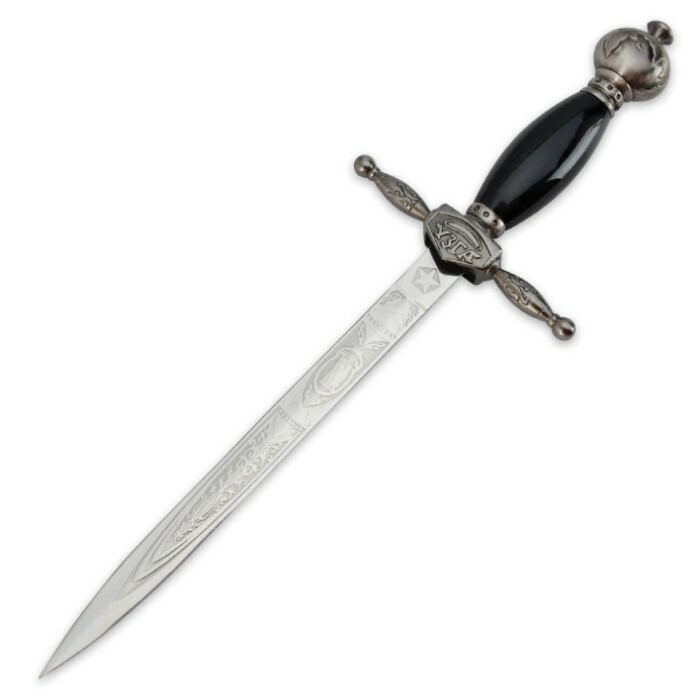 Medieval Knights Dagger Knife with Scabbard | BUDK.com - Knives & Swords At The Lowest Prices! Step back in time with this Medieval Knights dagger! The blade is constructed of 440 stainless steel and features intricate blade designs. The hilt and handle are constructed of cast metal and ABS. The included scabbard is cast metal with intricate designs that match the designs on the blade. 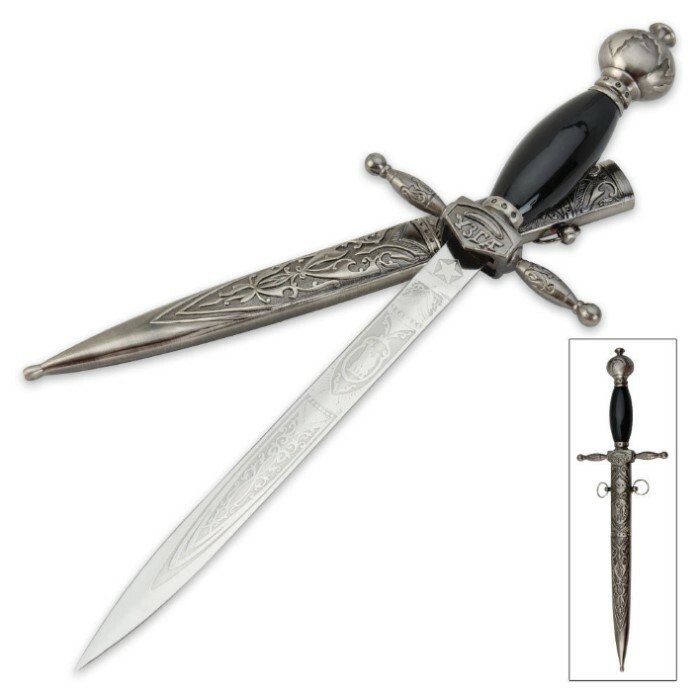 This beautiful dagger is the perfect addition to your collection-a great conversation starter!